One Ute has qualified to represent the University of Utah track and field team at the 2017 NCAA Championships that will take place this week. After recording a school-record time of 10:04.35 in the 3000-meter steeplechase during the NCAA West Preliminary, junior Grayson Murphy is ready to finish the season strong. Murphy is scheduled to run in the first semifinal race on Thursday, June 8 that is scheduled to begin at 6:02 p.m. MT. The semifinals will consist of three heats with the top racer from each heat advancing, as well as the next three best times from each heat will move on. 12 runners will compete in the finals that will take place Saturday, June 10 at 4:54 p.m. MT. Success and the big stage isn’t rarity for Murphy. She will be competing in her third NCAA Championships while in her first year at Utah. Murphy leads the Utes in the 2016 Cross Country Championships where she finished No. 53 overall. She also earned second-team All-America honors in the 5,000-meter run after finishing No. 15 at the 2017 Indoor Track and Field Championships. After competing for two seasons in outdoor track and cross country at Santa Clara, Murphy made the decision to transfer to Utah. 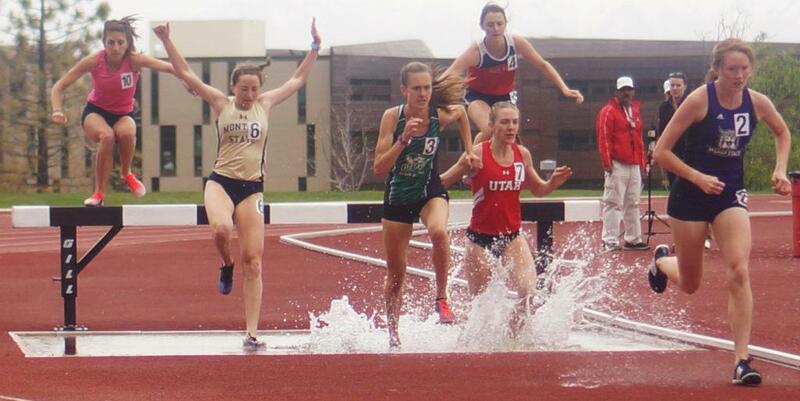 In just one short year at Utah, Murphy has set school records in not only the 3000-meter steeplechase but also in the 5000-meter run, both indoor and outdoor. With all the records that Murphy has set in her short career at Utah, she’s most proud of are the things that she has been able to learn. Having a chance to compete for the championship isn’t what excites Murphy the most about this meet. What she’s most looking forward to is that for the first time in her collegiate career, her family will be able to attend, not only to give her support, but they will finally get to see her run.